Whether you're on the hunt for a new job, want to learn more about a company you've had your eye on, or just want to keep up on the latest industry news, LinkedIn Pages are here for you. You'll find more than 30M companies posting more than 20M jobs giving you an inside look at their company cultures. Need to dig deeper? You have more than 590M members on LinkedIn that work at these companies who you can reach out to to learn more. We recently announced LinkedIn Pages, a refresh of LinkedIn Company Pages that can help you engage with companies and organizations, learn and connect with the people behind the company, stay up to date on the company's latest news, and even send the signal that you’re interested in working for them. Land your dream job, tell company recruiters you’re interested: Just a few months ago we announced a new feature that allowed you to set job alerts for companies you are interested in working with. With the new Pages redesign, we’re taking job alerts one step further. When you set a job alert, we’ll let recruiters at that company know you are interested in opportunities to help increase your chances of hearing from them. You can set this to automatically opt-out at any time in your privacy settings. Your job search is important, so we want to make sure that you see the jobs you’re interested in first and hear from your dream companies when they are hiring. Making it easier to find your way in: Similar to how our alumni tool works, now you can learn more about employees at specific companies, and connect to them. 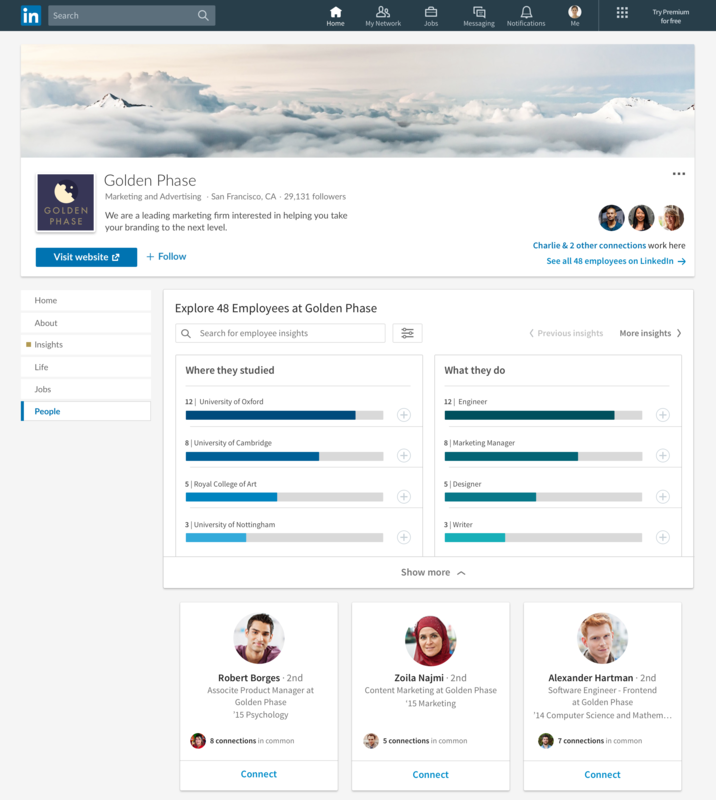 Through a visual dashboard within the Company Page you can explore where they're based, what they studied, their job functions, what skills they have, and how you're connected. You can find this dashboard by clicking the “People” tab on the far left menu within a specific Company Page. Keep up with the companies you care about: We’ve given companies more capabilities to engage with their communities -- they’re posting interesting Q&A, and responding to comments, and often employees are even joining the conversation. Beyond engaging with a company directly on their Page, you can now easily discover the hashtags that are most relevant to that company. For example, let’s say you’re preparing for an interview - you can now see the hashtags a company is promoting and the conversations they’re participating in to get yourself more in the know. You can find relevant hashtags under the communities section of a specific company Page. New company insights: We heard from you that you’d like as much company information as you can get, right at your fingertips. 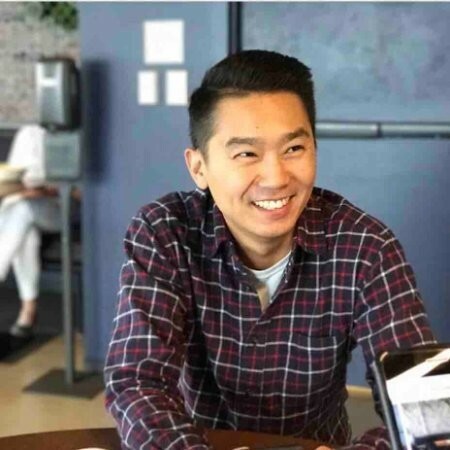 That’s why we’ve worked with Crunchbase to include relevant funding and investor information directly within the company page. These insights can help you to stay up to date on the industry or confirm interest in working for a particular a company. Sales and business professionals can also get a snapshot of a company’s trajectory to better prepare for any upcoming meetings or discussions. We rolled out this integration to members with their settings set to English starting on desktop, and will be expanding both globally and to mobile early this year.